LTE chipmaker Sequans Communications and LTE broadcast middleware provider, Expway, announced the availability of a new platform for the delivery of LTE broadcast service to an LTE-Wi-Fi router, enabling all devices in range of the Wi-Fi router to receive the LTE broadcast streams. Indian operator Bharti Airtel is deploying Sequans Communications' LTE chipset technology, powering the single mode LTE CPEs, for its subscribers in India. The CPE complies with 3GPP Release 9 specifications and provides category 4 throughput with data rates up to 150 Mbps in the downlink. PARIS, France – February 3, 2015 – Sequans Communications S.A.
Sequans Communications introduced the Calliope LTE Platform, the newest member of its StreamliteLTE family of chipset solutions for the Internet of Things (IoT). PARIS, France – November 3, 2014 – Sequans Communications S.A. (NYSE: SQNS) announced that its LTE chip technology has been adopted by Best Buy for its latest Insignia™ tablet, the first 4G LTE tablet in Best Buy’s Insignia product line. 4G chipmaker Sequans has announced that two of its device manufacturing partners in China, Datang Mobile and DareGlobal, have been awarded contracts to provide Sequans-powered TD-LTE end user devices to China Telecom for the operator’s commercial launch of TD-LTE service beginning in Q2. PARIS, France – February 18, 2014 – 4G chipmaker Sequans Communications S.A. (NYSE: SQNS) will showcase its newest LTE platform — the Cassiopeia LTE-Advanced Platform — at Mobile World Congress next week. Cassiopeia is fully compliant with 3GPP Release 10 specifications and is software upgradeable to Release 11. Reno, Nev. USA and Paris, France, February 3, 2014 — Pinyon Technologies, a global supplier of next generation mobile wireless networking products with proprietary antenna solutions based on its patented AirWire® technology, and Sequans Communications S.A.
LAS VEGAS – January 7, 2014 – Sequans Communications S.A. (NYSE: SQNS) has been selected by Techno Source and KD Interactive, makers of the best-selling Kurio™ line of Android tablets for families with kids, to provide the LTE connectivity for the new Kurio 7x 4G LTE tablet unveiled today at 2014 International CES®. PARIS – October 8, 2013 – 4G chipmaker Sequans Communications S.A. (NYSE: SQNS) today announced availability of the VZ20M and VZ21M modules, the newest members of its EZLinkLTE™ family of single-mode LTE modules. PARIS, France – January 14, 2013 – 4G chipmaker Sequans Communications S.A. (NYSE: SQNS) today announced the results of a technical trial conducted with leading Japanese mobile operator, Softbank, whereby Sequans’ AIR™ (advanced interference rejection) technology was tested to determine its value in mitigating interference in LTE networks. 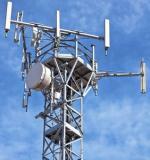 PARIS, France – January 7, 2013 – 4G chipmaker Sequans Communications S.A. (NYSE: SQNS) announced that one of its LTE chips has been certified to operate on the Verizon Wireless 4G LTE network. 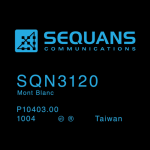 The chip certified is the SQN3120 Mont Blanc platform LTE semiconductor solution, one of Sequans’ StreamrichLTE products for high performance LTE devices. PARIS, France and BELLEVUE, Wash. – May 7, 2012 – 4G chipmaker Sequans Communications S.A.